Corporate gifts are a great way to thank your clients for keeping you in business. When done right, they can also function as employee rewards/incentives. Here are a few of our favorite promotional products that make for perfect corporate gifts. There’s something both classy and classic about leather that is almost indescribable. Let’s try anyway. Think of the subtle texture of a glossy leather and how it slides off of the fingertips. And don’t get us started on the smell of good leather that somehow simultaneously evokes the dusty saddles of the Wild West, the boost of bravado that comes with a leather jacket, and the aged crocodile glory of your grandfather’s favorite watch. 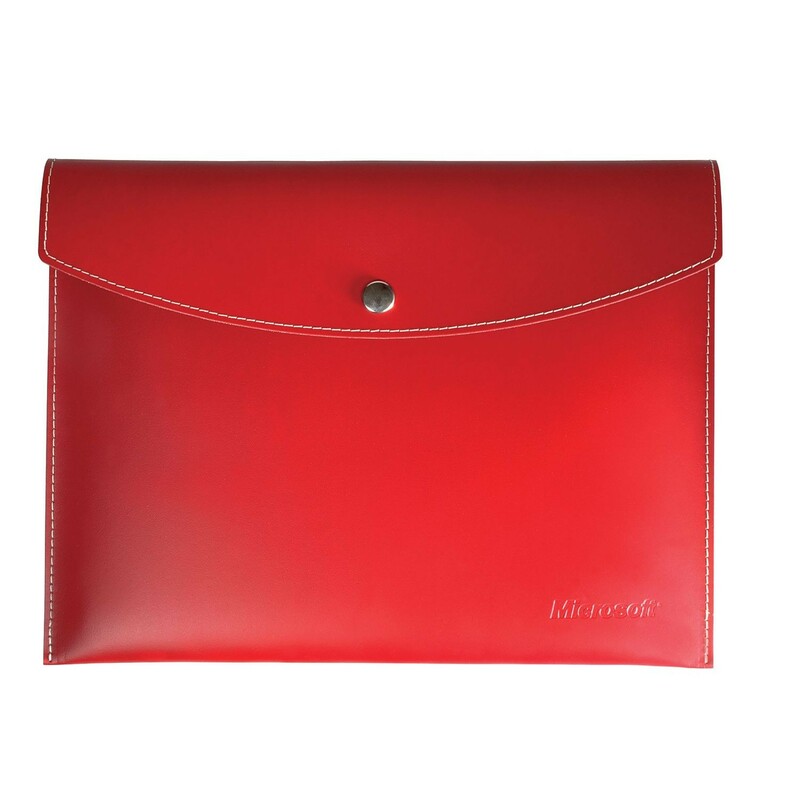 These classy portfolios allow for subtle branding and offer more than just the gift of gratitude, but the gift of style as well. Papercuts are for people who don’t work with awesome businesses, so your clients should never get them. Instead, gift them a branded letter opener. There are many styles of these available, including the sleek model above. Notice how the logo looks just as shiny as the blade! This is another gift that exudes style. A good decanter serves a dual purpose. Obviously, it decants your wine making it more enjoyable to the taste. 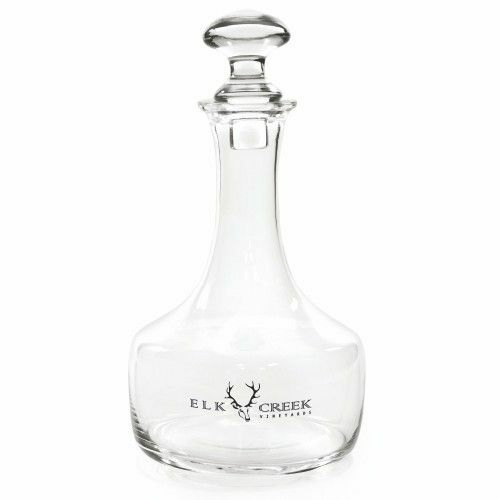 A branded decanter, however, can also serve as a type of memento. You’ll probably be more excited about the second purpose. Get your brand on here and then give the gift to your client. Now, when he’s not using it, it will sit on a brass tray, a statue dedicated to your business. It’s a win, win, wine situation. When it comes to finding gifts at the curious intersections of function and fun, nothing quite does the trick like a BBQ set. If you have a keen eye, you’ll probably notice the differentiator in this particular set. 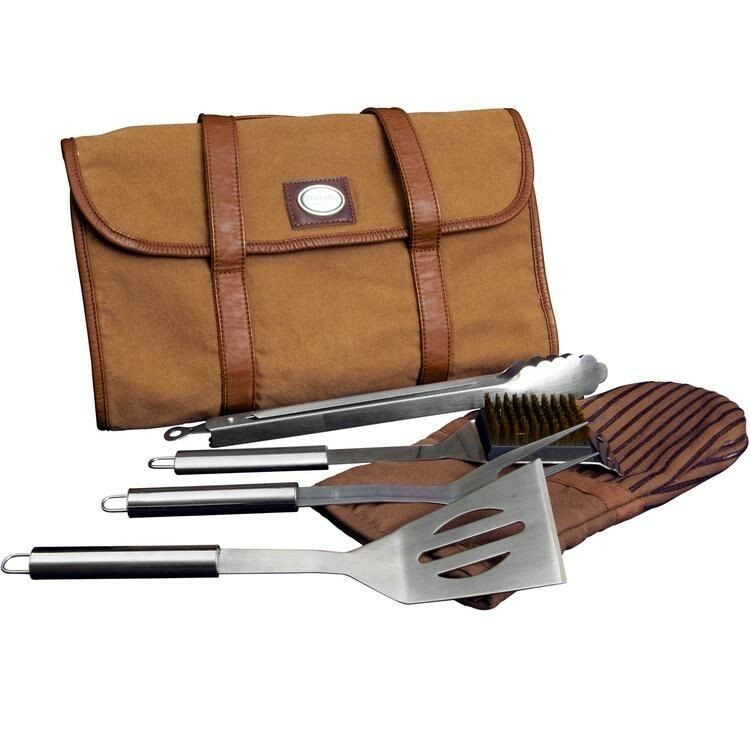 Not only does it include stainless steel utensils, a grill brush, and a mitt, but the case is so fetching that you might guess it was a savvy co-worker’s messenger bag, not their weekend BBQ prep bag. When all else fails, you can always count on a coffee theme. 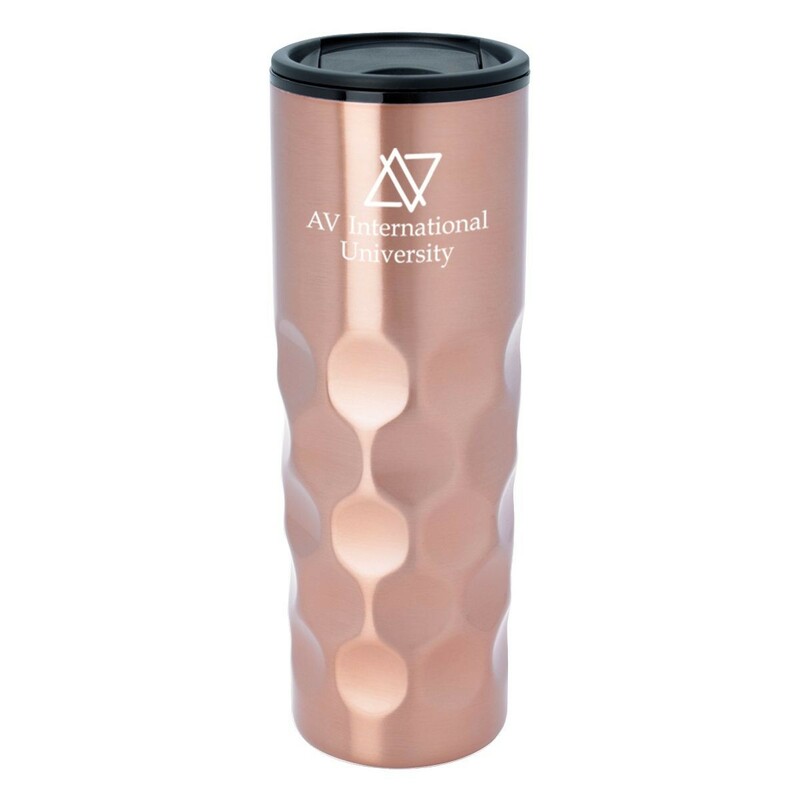 This beautiful rose gold tumbler is a solid option. Going with something that has this almost brass-like finish, along with the bevel, helps the tumbler stand out and appear more like a museum piece than your go-to paper cup or coffee mug. Looking for more corporate gift ideas? Let us know and we will be glad to help!